Many years ago, running the business seemed so natural. You would either invent or represent a product or service, place it on the shelf and begin selling. The problem today is that there is so much technology involved. There are websites to be considered, social media avenues, and terminology that we don’t even understand. I recall back in the 1990s trying to determine what TCP/IP meant, however, now we have terms such as SEO that at times require another college degree. 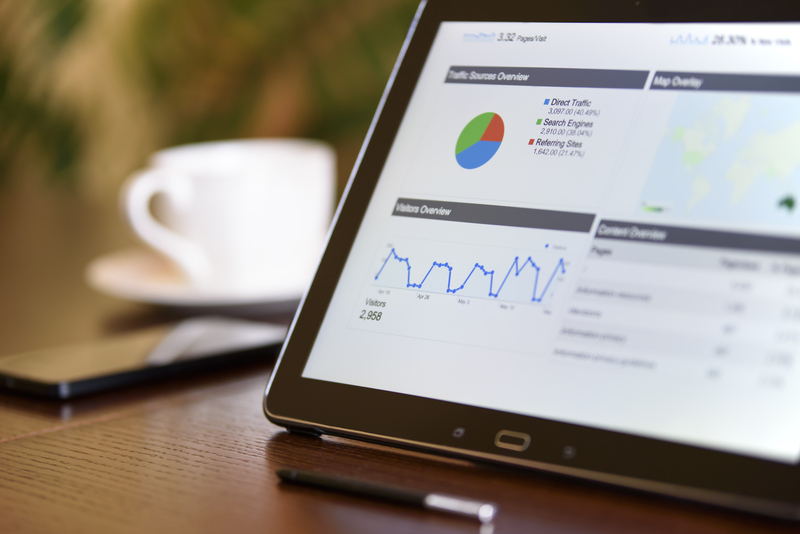 If you are a small business owner, my intention in this article is to help you understand and explore the need for SEO – search engine optimization. I was born in the 1960s, so I remember these enormous directories placed on my parents front door known as the Yellow Pages©. The Yellow Pages listed every single business within my regional area. Now, if you live in urban centers such as Metropolitan New York or Los Angeles, you can imagine the size of these books! Seeking to discover the best physician, dentist, or attorney was as difficult as attempting to find a needle in a haystack. Today, things are different with the use of the Internet. At the dawn of the millennium came what is now a huge company known as Google. Google followed organizations such as; Dog pile, Ask Jeeves and AltaVista to help individuals like you and I find information in the vast world of the Internet. There are over 500 million websites in existence today, and with so much noise it ‘s hard to determine one vendor from another. Approximately five years ago, Google along with other software developers invented a methodology so that you could utilize directories such as the Yellow Pages© more efficiently. SEO or better known as search engine optimization is a method for you to find that needle in the haystack easily. Search engine optimization is a process with the use of words, phrases, URL links and even images to be found easier on the Internet. Think of SEO as a call for help in a big venue such as a rock concert – your voice this heard amongst the noise. The simple fact is if you want your business to be found on the Internet, then you must use search engine optimization. Here are some simple things that might get you started so that if your business or your website is not obtaining the traffic, you desire these ideas might create some changes. Keywords- Keywords are nothing more than the specific descriptors for your business. For example, if you are an auto repair shop or the manufacturer of the soap, then you need to have the words that your consumers use to help find you on the Internet. Using terms such as auto accident, car dings, dents, fender bender, etc. will allow your auto repair shop to be found more easily. Similarly, if you manufacture soap, then you want to use words such as antibacterial, hand soap, bath soap and so on. Further, you need to ensure that your city and state also appears on your website. These keywords must be shown on pages of your site where you describe your products and services. This will allow your site to appear quickly on the first page of Google and be considered amongst your competitors. Content marketing- There is a tremendous amount of banter within the Internet community on blogging and distribution of content. Many believe that material creates more noise on the Internet – it does. However, creating content for your potential consumer base allows others to find you easier because you are using keywords to attract them. Content marketing utilizes a process that helps to update your website with newer and frequent content, making it more attractive during a potential consumer’s search. This phase of search engine optimization is vital to the success of your business. Developing link relationships- Similar to the way that you would network with individuals so that you can obtain business, search engine optimization works in the same vein. A secret to your success would be creating links from your website with alliances from other vendors. These can be retail establishments, other e-commerce businesses or simply business relationships. Creating links from other sites to your site allows your business to be found easier. It’s a process- One of the biggest mysteries about search engine optimization is that many business owners believe you create something and leave it alone. Not true! Search engine optimization is a continuous process and will take you time. If you have little love it it would be worth it for you to invest in outside individuals to assist you. Lastly, one of the biggest mysteries of not only the Internet but small business is that you need to think like the larger companies. Search engine optimization, much like marketing and sales, needs to be conducted consistently and relentlessly. One cannot expect to open a retail establishment in a strip mall and believe if you open they will come. Not true! Every business needs to continually market daily. Therefore, as a small business, it is imperative to use the tools at your fingertips to create a vibrant business. To give you a leg up I suggest that you gain some good understanding of SEO to help you gain better insight into being found in a deep sea of competition. If you require additional thoughts do not hesitate to ask me a question. I would love to hear from you contact me here. Additionally, if you are having issues creating visibility and revenue for your business, you might be interested in knowing you are not alone. Download my free 12 Frustrations of Small Business today! This quick whitepaper provides the 12 most common issues of small business and how to cure them. And, it is absolutely free.